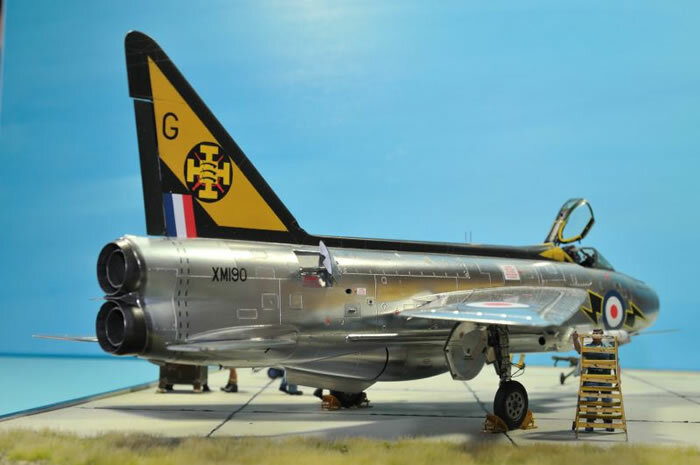 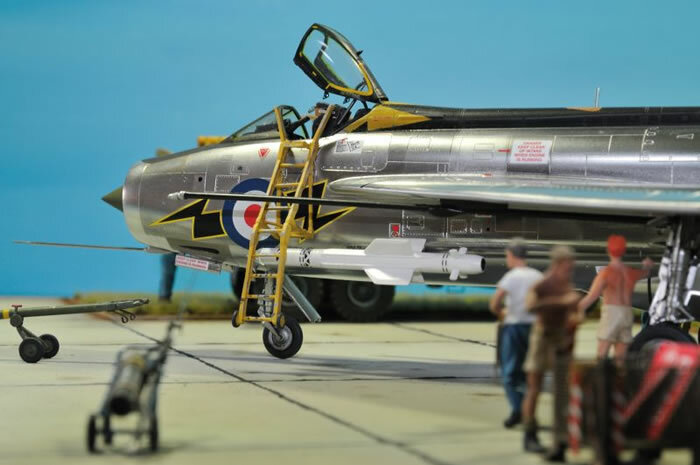 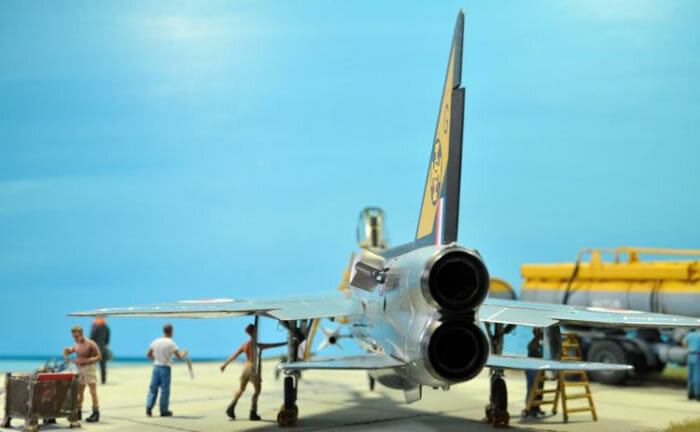 Here’s my recently completed Lightning F.1A in a small diorama. 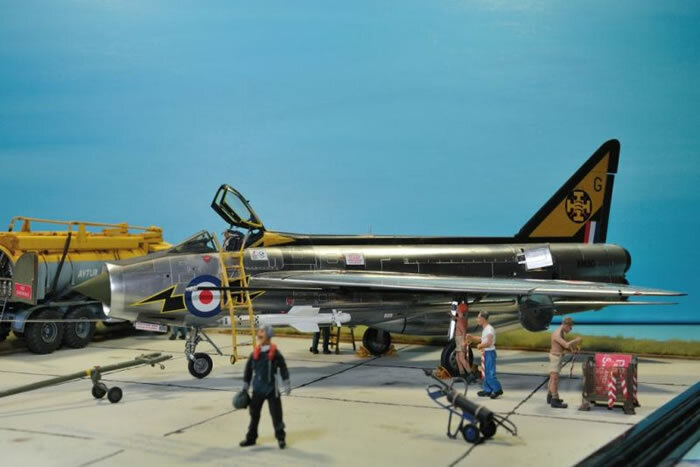 It is the eduard edition of the very good Airfix kit, hence some goodies come with it., mainly PE parts. 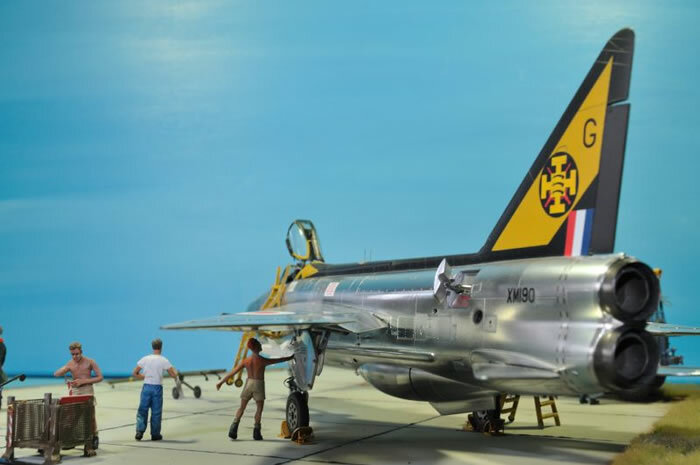 In addition, I used a small CMK-set with the kit and replaced the air brake (plus interior) , flaps and rudder with resin parts. 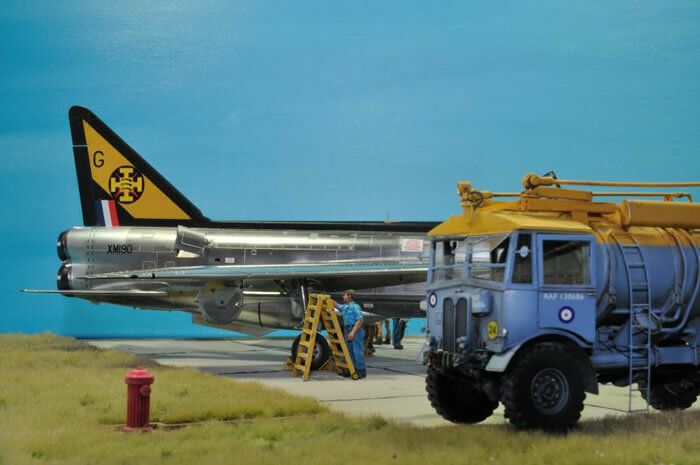 The boarding ladder comes from Aeroclub. 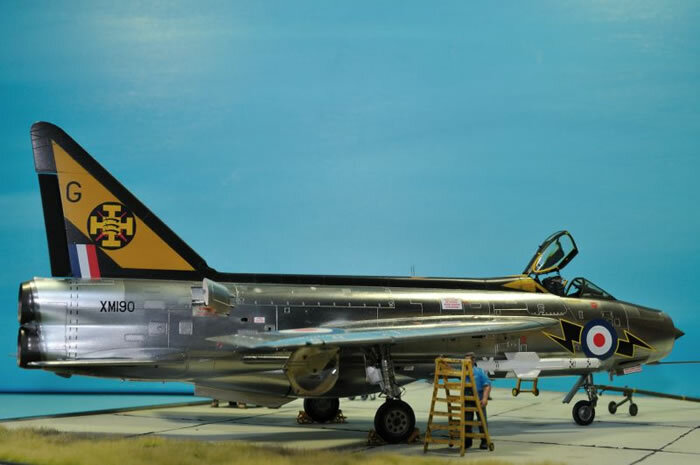 For the markings I used the decals of No. 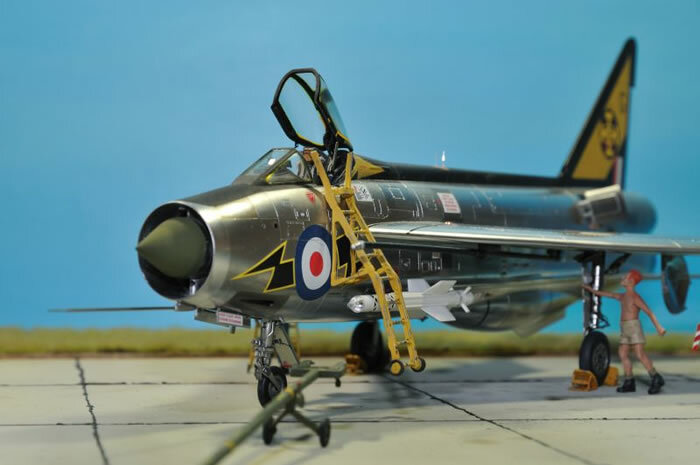 111 Squadron contained in the kit, but changed the aircraft into XM190/G as this a/c had the lower cannon pair installed – not that often seen on an F.1A. 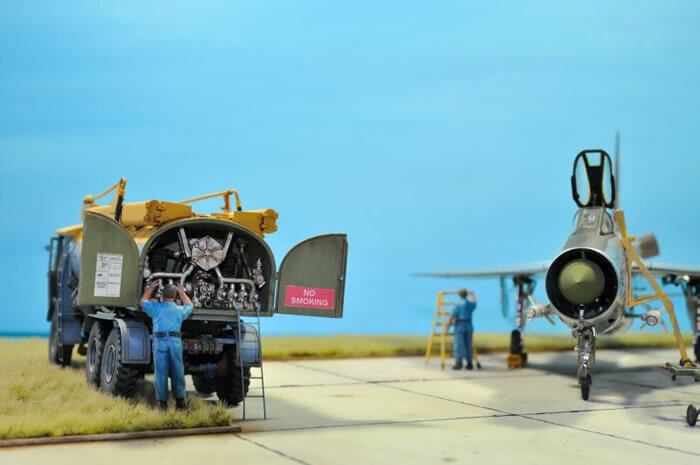 The diorama scene is supposed to show the Lightning during an APC deployment at Luqa, Malta in the early sixties. 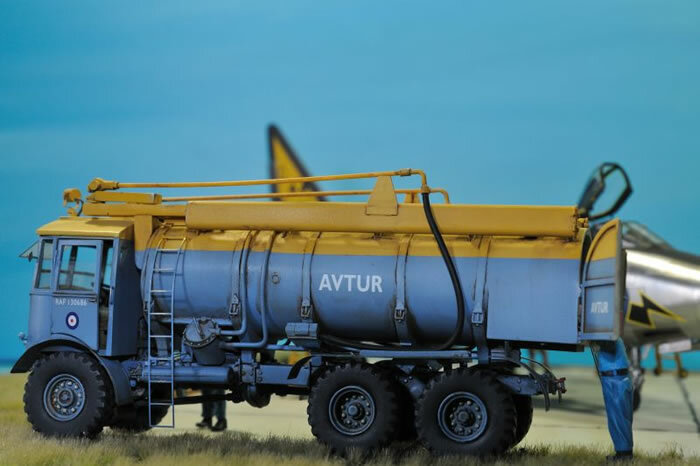 The AEC 6x6 refueler is the resin kit by Accurate Armour – I have no proof these vintage vehicles were still used in the 1960s but as they saw service long after WWII, this one might have survived and be kept in service on that station. 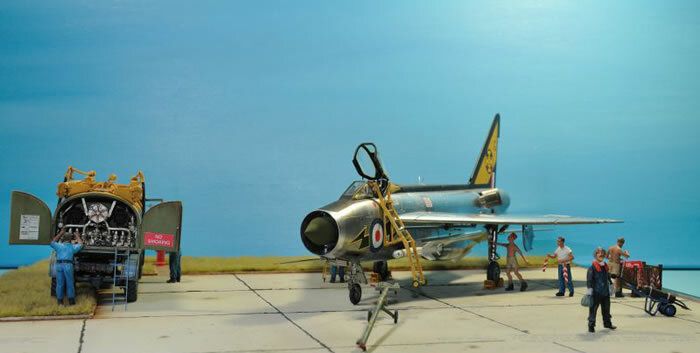 The background is my self-painted Mediterranean sky.